This month I want to shout out LOROS Hospice – a great local charity that cares for over 2,500 people across Leicester, Leicestershire and Rutland. They provide free, high-quality, compassionate care and support to terminally ill adult patients, their families and carers. 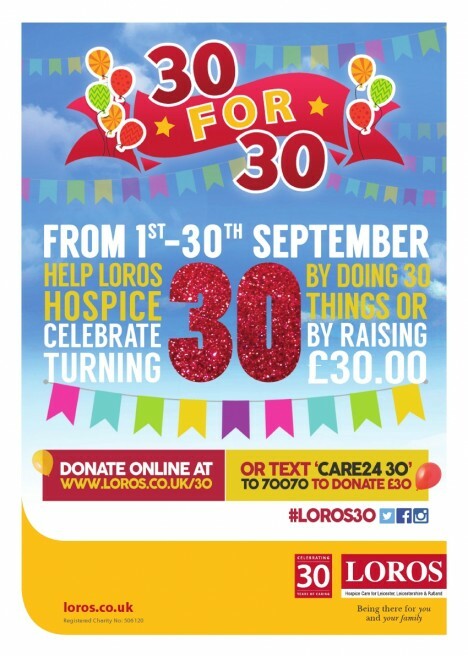 LOROS Hospice has been supporting families for 30 years, and to celebrate they are holding a 30 for 30 campaign throughout September where they want you to help the hospice by doing 30 things, or raising £30!